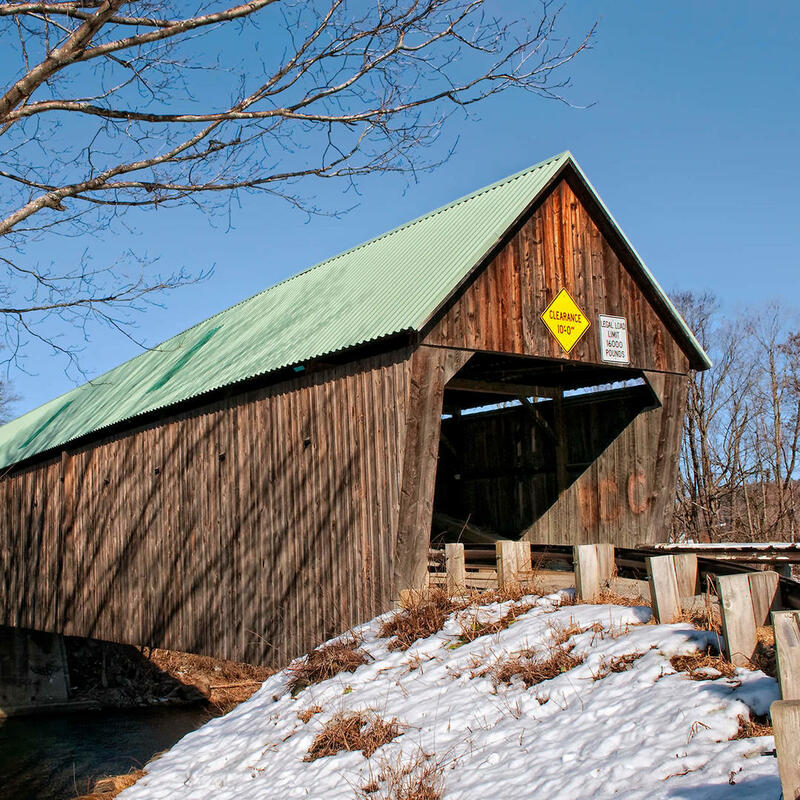 One of the bridges crossing the Ottauquechee River, it is categorized as a Pratt Truss. Lincoln Covered Bridge is the only known Pratt Truss wood bridge still standing. Set in a woodsy, romantic area, a bed and breakfast is nestled next to the bridge making Woodstock a wonderful weekend getaway.